Japanese transmission in a Corvette? Autoweek just reported that the 2014 Corvette may use a Japanese sourced transmission until its own 8-speed automatic is available. I'm sure the Aisin sourced transmission will be fine but really, the all-American sports car with a Japanese transmission? And all because Chevrolet can't get their own ready in time. Sad. 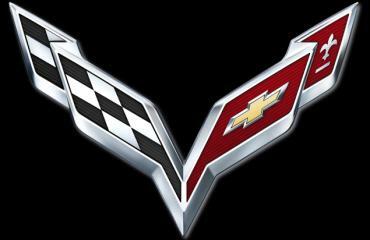 Sadder still in my opinion that they could design a new logo for the C7 Corvette. Much hoopla for a non-essential part and no-show for something as essential as a transmission. Hey Chevy, your priorities are backward. I'm just saying.